(If you are looking for help to recover deleted blog, refer to related posts or other related posts at the bottom of this post) . Blogger has introduced Undelete this blog for you to easily recover deleted blogs. Unfortunately there isn't a "Undelete post" yet. So if you accidentally deleted a post, how can you try to recover (undelete) the deleted post? There are a few ways, some which which depends on good memory or clever guesswork. 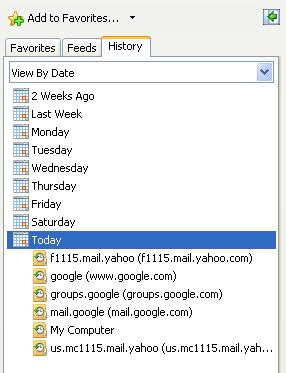 Go to Feedly.com and type in the post address (url) into the search box and if you can find the feed, you can copy-paste into Blogger. For full recovery, your feed should be set to full, otherwise you will just get a partial recovery. Alternative keyboard shortcut to call up the browser is shift+ctrl+H (shift+Cmd+H for MAC OS). This method is applicable if you have not closed the tab or window where you had been preparing the deleted post (or had viewed the deleted post). Just keep pressing the BACK button till you get back to the point where you were editing the post (or had viewed the post). cache:address (URL) of the deleted post or some keywords from the deleted post to try to find cached copies on the net. If the search throws up a result, click the link cached (see screen shot below) to open the cached webpage and either reconstruct a fresh post with the content from that cached webpage. Once you have located a cached copy from the search engine, you can either copy the content and create a new post using the pasted content. However, the permalink (individual post URL) will be different from the original. If you don't want to recreate the post but want back the same permalink, then refer to Method 5: recover deleted post with original permalink. This is applicable even if you have no access to the computer where you had edited or viewed the deleted post, but you must have the URL (permalink) of the deleted post. If you don't have the URL, then you can try to guess the URL from the post title. You will also need to know when the post was first published, or alternatively, can guess the date. 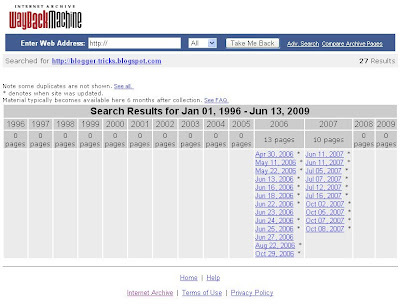 This is because Blogger incorporates the date (year and month) when the post was first published. If you have or can guess the deleted post URL and you want to try to undelete the deleted post, you can try posting the post URL and your problem at Blogger Help Forum and hope to catch the attention of a Blogger Employee. If you have been backing up the blog regularly, try this. If you have the backup xml file, you can first create a new empty blog then using the xml file, restore the blog with the deleted post, then try to find the deleted post and using its content republish it back to the original blog. Best if luck to you. 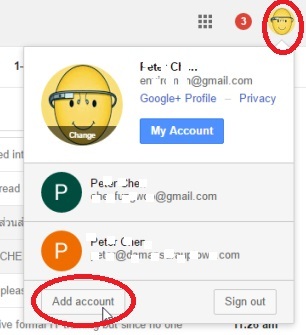 How to recover deleted gmail or Google account. The very first step of starting a blog is a decision on which blogging platform or software to use for the blog. The choices are plenty, as you can see from the list at Wikipedia: Blog software, but we will first concentrate on the 2 most popular free ones - Blogger.com and Wordpress.com, both of which are hosted for free, and Wordpress.org of which the software is free and open source but you will to host the blog yourself (meaning you will have to pay a webhost to host your blog for you). Blogger is a very user friendly blogging software to use for your blog plus it is backed by a financial giant Google. Blogger has been changing things around in the Settings. What used to be Templates they now call it Theme so if you are looking for Template in Blogger settings Templates, you will be asking where is Templates to change template, you will be highly disappointed. we sign into www.blogger.com > Dashboard > Settings > Basic > and the link/tab to delete blog is right at the top. sign into www.blogger.com > Dashboard > Settings > Others and DELETE BLOG and DELETE BLOG is just like above, right at the top. Try clicking the highlighted Chapter 1 above and see what happen. You would have ended up here when you click the Chapter 1 at the top.